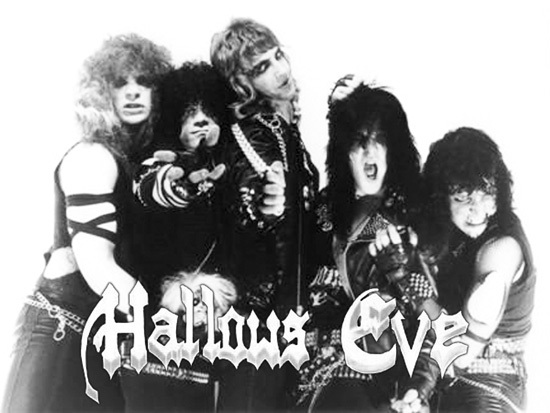 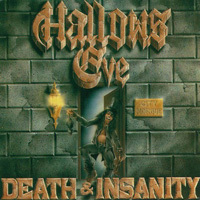 Formed in 1983, Hallows Eve was a thrash metal band hailing from Atlanta, GA, whose first brush with notoriety came via the inclusion of their song Metal Merchants” in the Metal Massacre, Vol. 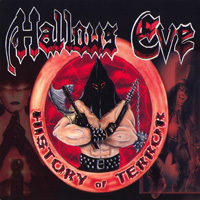 6 compilation two years later. 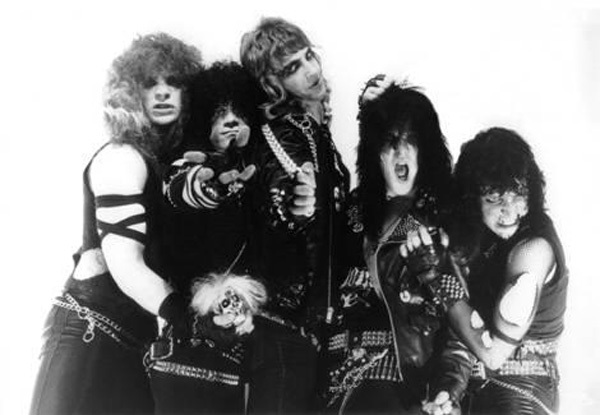 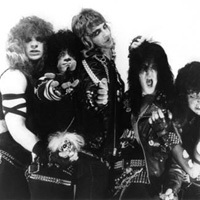 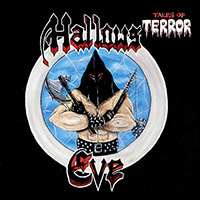 Duly signed by the collection’s parent label, Metal Blade, the group, comprised of vocalist Stacy Anderson, guitarists David Stuart and Steve “Skullator” Shoemaker, bassist Tommy Stewart, and drummer Ronny Appoldt, released their debut album, Tales of Terror, later the same year and then followed it with two more discs (1986′s Death & Insanity and 1988′s Monument).